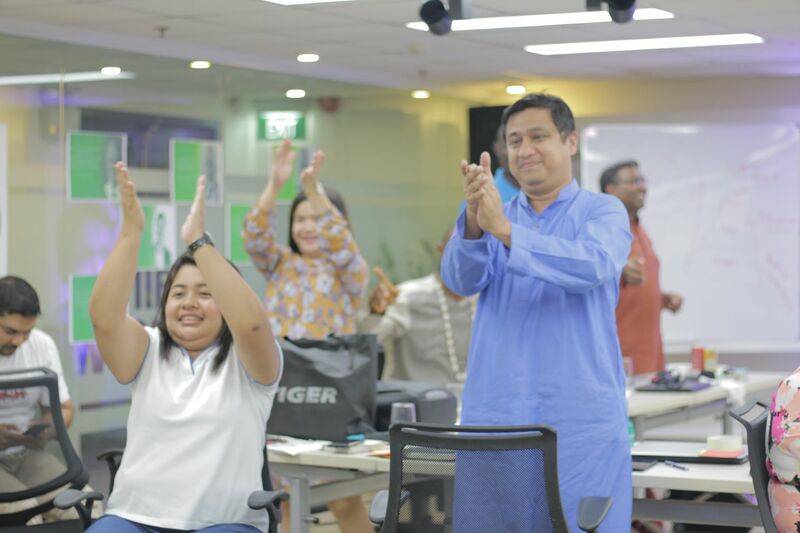 With an average staff age of 24, mostly graduates fresh out of college without any insurance experience, Pioneer Microinsurance in the Philippines is nothing like a typical insurer. Yet, this team grew their microinsurance business from 250,000 policies to over 18 million enrolments in five years. With the Microinsurance Master leadership programme in February 2018, 18 leaders from 14 countries had the pleasure to stay at this special place for two weeks and learn all about Pioneer’s ‘secret sauce’ in serving consumers in an emerging market. What exactly did participants learn? 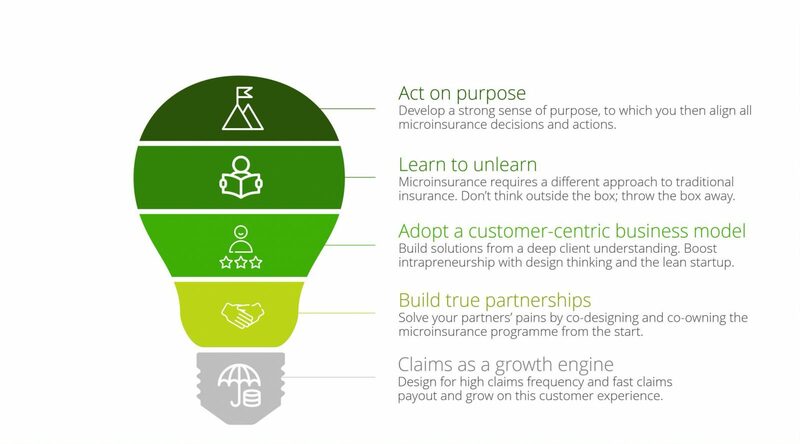 Many people have asked me what participants learnt from Pioneer and the Microinsurance Master leadership programme. Sometimes it was a detail, like a poster in the elevator, that gave one of our participating leaders a flash insight into how operations could be improved back home. Each of these points deserves a dedicated post, but following is a quick summary. Developing microinsurance is not easy. It requires you to build the plane while flying it. Organisations that thrive in microinsurance have a clear sense of their purpose: of why they’re doing what they’re doing. A strong purpose helps to align the entire organisation and all actions towards a clear objective and provides a guiding North star in difficult times. Microinsurance is nothing like the traditional insurance that we all grew up with. It is an unknown product for an unknown customer segment that requires entirely new recipes. Classic insurance-product knowledge can be a burden rather than an asset. Insurance solutions need to be rethought from scratch, rather than trying to retrofit micro into traditional processes and models. Pioneer Microinsurance built its operations around the client, not the other way around. The organisation is not siloed around products or functions but is organised in cross-functional teams for each client account. All new hires even go to live with insured clients to better understand the people they serve. Their customer-centric practise has served as one of the seven examples globally on which CGAP built its customer-centric guide for financial inclusion. In microinsurance, it takes two to tango. Most microinsurance solutions are born out of the collaboration between an insurer and a distribution partner. To truly flourish, both partners need to benefit and trust each other. One of the foundations of such a partnership is the alignment in vision and a focus on the value proposition of insurance, rather than simply income. Pioneer has taken the meaning of partnerships to new heights with Card Pioneer: its joint venture with the largest microfinance institution in the country, Card MRI. Paying claims is more than a duty for insurers. It is not just an expense. It is an investment and an opportunity to demonstrate the value of insurance. Several microinsurers, including Pioneer, have demonstrated that paying claims well (and fast) pays off. Pioneer had to pay many claims after typhoon Hyan in 2014. Premium income increased from 1 million to 7 million USD the subsequent year. Obviously, these five learning points don’t work in isolation but tend to reinforce each other. It is truly an eye-opening experience to see these at work and understand how they can lead to real, positive results. We at Microinsurance Master are excited to be able to revisit Pioneer Microinsurance for the second edition of our leadership programme beginning in February 2019. Apply now if you want to be amongst the 20 selected leaders to join our journey.